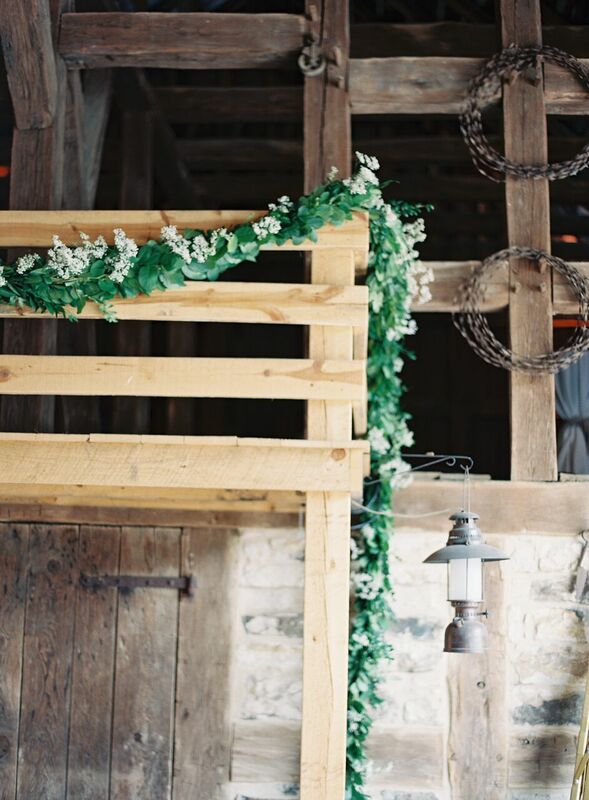 We loved being a part of this barn wedding at a private property in Hermann, MO. 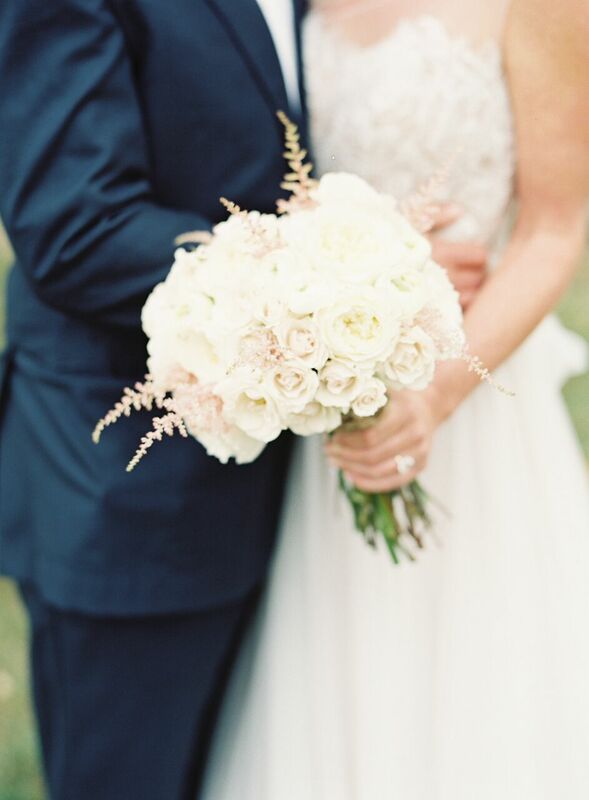 Blush and ivory were the colors of the day. Check out these images from Clary Pfeiffer. 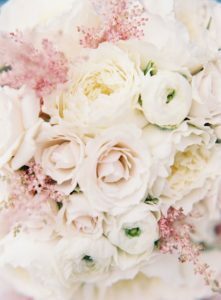 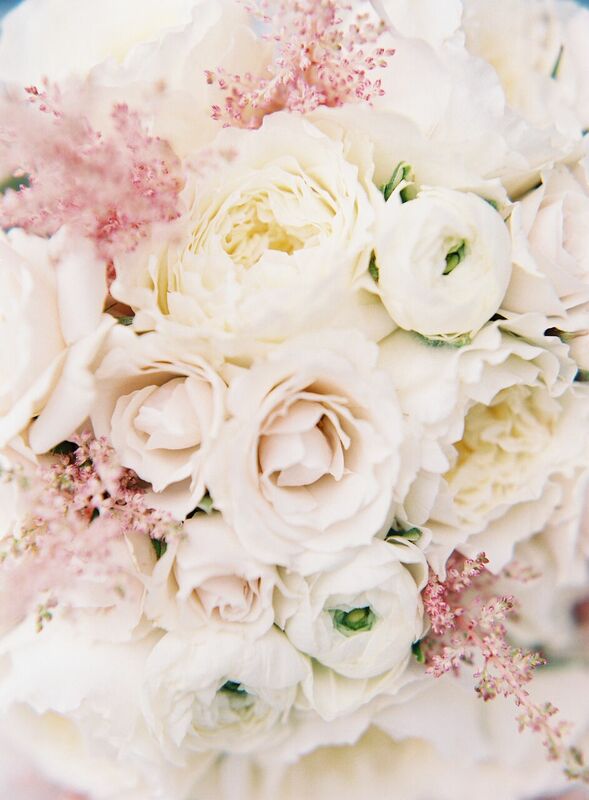 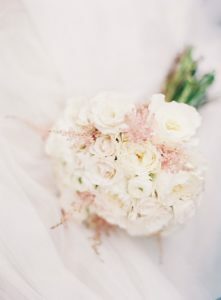 The bridal bouquet was a petite mix of garden roses, ranunculus, and light pink astilbe. Greenery garland accented with babies breath for the rustic barn. 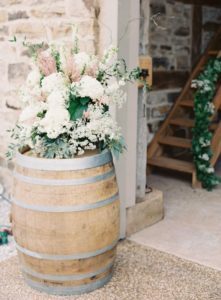 Blush and ivory flowers decorated the barrels to the entrance of the barn. 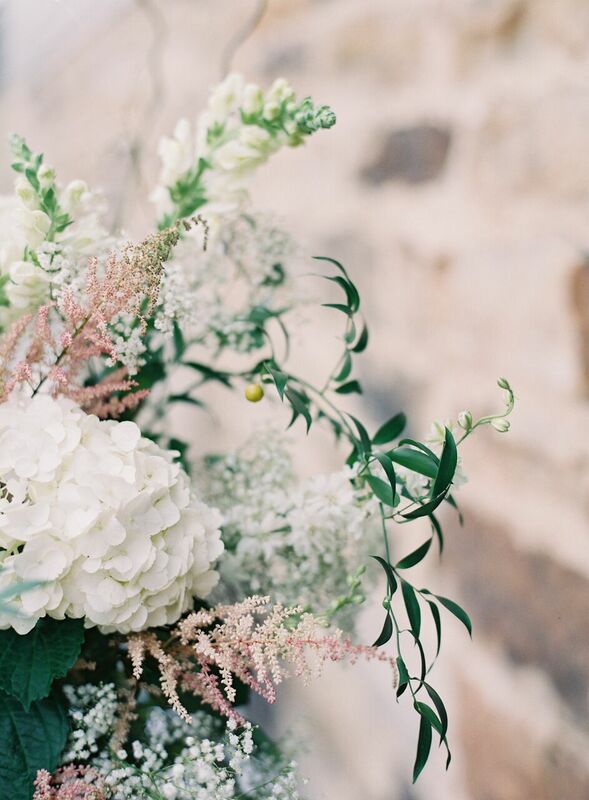 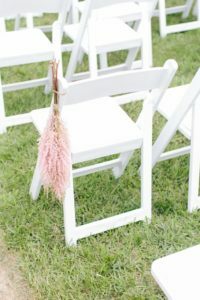 Clusters of blush pink astilbe for the aisle at the ceremony. 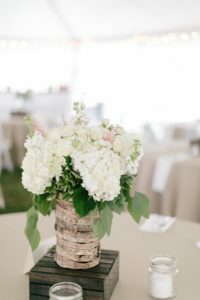 Rustic birch vessels held the lush flowers at the tented reception. Best wishes to the couple and a special thanks to Cosmopolitan Events for coordinating such a beautiful event!